Any chef (or mother) can attest that there’s no ingredient more valuable than salt when it comes to the kitchen. The beloved ionic compound inherits properties that release food molecules into the air, endowing food the element of aroma and providing an essential component of taste that makes the dining experience so enjoyable. Seasoning doesn’t get any simpler than that, right? However, a new study indicates it may be not be so crystal clear (no pun intended). Millions of people worldwide have converted from table salt to sea salt in recent years. Sea salt, which is acquired by evaporating seawater, is known to contain beneficial trace minerals and elements that are absent from table salt. Since table salt is typically mined from underground salt deposits, it is heavily processed to eliminate these essential nutrients. Besides added iodine to help maintain a healthy thyroid, the refining process takes out any excess elements for a silkier texture. As such, nutritionists have promoted the magnesium, calcium, potassium, iron, and zinc found in sea salt, all of which help keep the body’s electrolytes in balance. Moreover, the coarse, crystallized aspect of sea salt generally carries more flavor than powdered table salt. 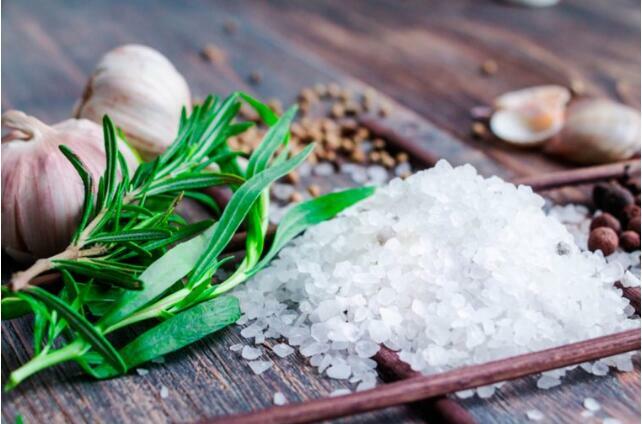 After the controversial health issue of salt that has arisen in recent years, sea salt has since become the more desirable option for health enthusiasts and professional chefs throughout the globe. But new research points to another ingredient in sea salt that we bet you won’t find on the label: microplastics. The study, published in the scientific journal Scientific Reports earlier this year, studied 17 commercial salt brands from eight different countries to identify any plastic particles. By dissolving the salt in water and filtering it through a filter membrane, they were able to see what was left over. The results? They found microplastic in all but one brand. Basically, these are extremely tiny pieces of plastic, and while you may not have significant problems digesting them, scientists fear that chemicals in plastics could cause poisoning, infertility, and genetic disruption in humans if ingested in high quantities. In other words, it’s not exactly something we want to find on our dinner plates. While this isn’t good news, it shouldn’t come as such a shock to environmentalists; since their mass production in the 1950s, global plastic production has been increasing, which exceeded 322 million tons in 2015. Since then, plastic waste from shopping bags, cellophane packaging, and microbeads (found in face scrubs and other beauty products) has been shown to steadily—but surely—be making our oceans a churning soup of plastic. Microplastic has since been discovered in the stomachs of clams, fish, and other marine life. Luckily, researchers say that the current levels of microplastics are so low that it shouldn’t drastically affect a human’s health; the expected consumption level via salt is about 37 plastic particles per year. However, further measures are being taken to better understand the risks. If anything, the lesson to learn from this global dilemma is a substantial improvement in plastic disposal and recycling. The increasing trend of plastic use and disposal might lead to the gradual accumulation of microplastics in oceans and lakes, and therefore in products such as sea salt. While the study did not disclose specific brands, the only product that did not contain plastic particles originated from France. If you ask us, it may be wise to just stick with table salt for now.